It is the season where we celebrate the triple whammy of Bonfire Night, Halloween and, for some, The Day of the Dead. Here are 10 fun facts about the season! A firework can travel at speeds of up to 150 mph, the same speed as some small aircraft. The potential blast made by the failed Gunpowder Plot underneath Parliament in 1605 would have transformed how London looks today. The calculations made by the Institute of Physics found that if the 2,500 kilos of gunpowder had exploded it would have destroyed Westminster Hall, the Abbey and areas as far as Whitehall. Guy Fawkes was imprisoned in the Tower of London. He was taken there after his role in the plot was discovered and tortured for four days, until he provided the names of his co-conspirators. The signature on his confession is very weak, compared with a much stronger signature on another confession from later on, which suggests the interrogators were very violent with him. The Day of the Dead originated in Mexico but is also celebrated in parts of Latin America and the United States. The Day of the Dead is a protected cultural event and features in the UNESCO list of Intangible Cultural Heritages of Humanity. In the autumn, when the Day of the Dead is celebrated, monarch butterflies arrive in Mexico. Legend has it that the butterflies represent the souls of the deceased returning to earth. The tradition of carving a spooky face into a vegetable at Halloween was originally done with turnips in Britain. When the festival reached America, pumpkins were used as they were cheaper. Although a full moon often appears in Halloween decorations and horror films, the next full moon on Halloween will not be until 2020. The most recent full moon at Halloween was in 2001, prior to that it was in 1995. 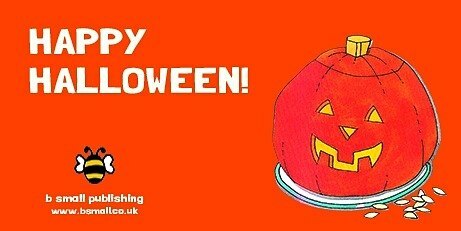 Samhainophobia is the fear of Halloween! Historians have traced the origins of Halloween to two ancient pagan festivals: the Celtic Festival of Samhain, meaning "summer's end", and Pomona, which was a festival believed to take place in honour of the Roman fruit goddess Pomona.